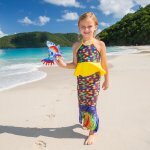 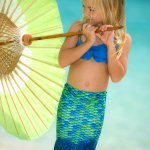 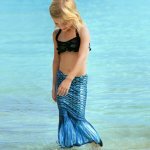 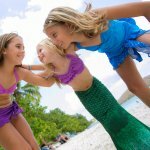 For the budding mermaids-to-be, these toddler tails in sizes 3T and 5T let the dream begin! 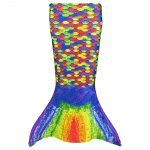 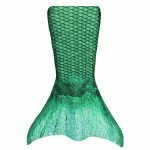 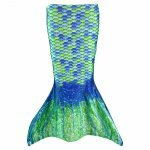 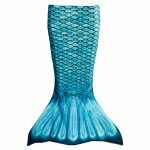 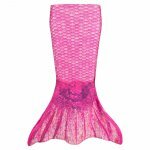 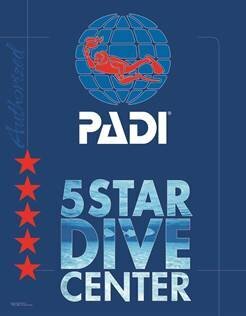 Featuring a wider bottom opening that allows for easy walking, these tails can be worn in water but do not use a monofin. 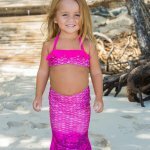 All Toddler Sets come with an XS matching bikini top.